God has blessed each born again Christian with one or more Spiritual Gifts. Do you know what Spiritual Gift(s) God has given you? If you have been wondering about this, then you have come to the right place! This on-line Spiritual Gifts Test (sometimes referred to as a Spiritual Gifts Inventory, Assessment, Survey, Analysis, Questionnaire, or Quiz) will help you determine what Spiritual Gift(s) God has given you. The test performs an assessment of 28 Gifts by presenting you with 140 positive statements that you are to respond to by selecting a number between 9 and 0 to indicate how well each statement applies to you, how well it describes you, or how much you agree with the statement. This test is designed for Christian adults (a youth version of the test is available by clicking HERE ). If you have been a Christian for at least a few years, you should use your personal experiences as the basis for your responses. If you consider yourself to be a new Christian, then your responses should be based on how well each statement describes the desire of your heart (even if you have not yet done what the statement talks about). If you are NOT a Christian, then you should NOT take this test. This test is not specific to any one Christian Denomination. It should be noted that there is some disagreement among Christians as to exactly how many Spiritual Gifts there are. This test covers a rather broad spectrum of 28 Spiritual Gifts and God given talents. Please keep in mind that this test was written by people, not by God, and as such it is certainly not perfect. It should be used as a starting place to begin to discover your Spiritual Gifts, but not as an absolute indicator. The test may not always indicate your true Spiritual Gifts. It is just one tool in what should be a life long search for how God has blessed you so you can be a blessing to others. If you would prefer to take this test on paper, a Printable Spiritual Gifts Test with Manual Analysis in Microsoft-Word format can be downloaded by clicking HERE . The test should take less than an hour to complete. If you don't have that much time now, then you can 'Bookmark' this page or add it to your 'Favorites' and take the test later. You must complete the test in one sitting because a partially completed test can NOT be saved. Respond to each statement quickly with your first feeling. Don't be too modest. However, unless you can walk on water, you will probably respond to more statements with low numbers than with high numbers. If in doubt, then respond with 0. Select 9 or 8 if the statement describes you exactly or very well. Select 7 or 6 if you think the statement applies to you better than to most other people. Select 5 or 4 if the statement somewhat applies to you. Select 3 or 2 if you can only slightly relate to the statement. Select 1 or 0 it the statement does not apply to you or you disagree with the statement. The object is NOT to enter all high numbers, but to distinguish between Gifts that you DO or DO NOT have. If you enter more than a dozen or so 9's, the analysis process will not be able to clearly distinguish your top Gift(s). When you have responded to ALL 140 statements, click on 'Submit Spiritual Gifts Test for Analysis' at the bottom. Your test will be automatically analyzed. In a few seconds, it will show you a list of the 28 Spiritual Gifts and God given talents that this test covers and show you which ones appear to be the strongest in you. There is also a link to Spiritual Gifts Reference Material that provides a definition of each Spiritual Gift as well as Biblical References for each. After you have taken the test and seen your analysis, if you believe that this Spiritual Gifts Test has been a blessing to you, then you are asked - on your honor - to make a donation to the Spiritual Gifts Test . This test is NOT FREE . If you are not willing to make a donation if you were blessed by what you learned from the test , then please - on you honor - do NOT take the test. Your donation should represent what the test was worth to you. IMPORTANT: Press Tab, NOT Enter to advance from one field to the next. Do NOT use Enter at all while taking this test! Please check the spelling of your email address. If it is spelled wrong, you will NOT receive your Analysis via email! If your Church is collecting Spiritual Gifts Test results for its members, you may enter the name of your church and the email address of the person who is collecting the results. If not, leave these fields blank. Again, please check the spelling of your church email address! Are you ready to start? Take a deep breath and begin . . .
Click on the first response box [0.9]v below. Type the number for your response 9,8,7,6,5,4,3,2,1 or 0. Press Tab, NOT Enter to advance to the next statement and type the number for that response. Continue by pressing Tab then a number for each or the 140 statements. 0.99876543210 People come to me when they need help in desperate situations, and I am able to point them to a service or ministry that can help them. 0.99876543210 I feel empowered to stand alone for Christ in a hostile, unbelieving environment. 0.99876543210 I readily identify with Paul's desire for others to be single as he was. 0.99876543210 I enjoy using my artistic talents to make things that bring glory to God. 0.99876543210 It is easy for me to perceive whether a person is honest or dishonest. 0.99876543210 I have spoken words of hope that God confirmed in others by the Holy Spirit. 0.99876543210 I am attracted to non-believers because of my desire to win them to Christ. 0.99876543210 I have urged others to seek Biblical solutions to their affliction or suffering. 0.99876543210 I hold fast to my personal belief in the truth even in the presence of ridicule, apparent failure, or pain. 0.99876543210 I can give sacrificially because I know that God will meet my needs. 0.99876543210 I feel strongly that my prayers for a sick person effect wholeness for that person. 0.99876543210 When I serve the Lord, I really don't care who gets the credit. 0.99876543210 Our home is always open to whoever God brings to us. 0.99876543210 I find myself praying when I possibly should be doing other things. 0.99876543210 I have had insights of spiritual truth that others have said helped bring them closer to God. 0.99876543210 Others are willing to follow my guidance to accomplish tasks for our church. 0.99876543210 I feel great compassion for the problems of others. 0.99876543210 I believe that God can miraculously alter circumstances. 0.99876543210 I am able to relate well to people of different cultures. 0.99876543210 Christian music always lifts my spirit and makes me want to praise and worship God. 0.99876543210 I have a heart to help Christians who have lost their way. 0.99876543210 I choose to live a simple lifestyle so I will have more time and money to devote to God's service. 0.99876543210 I sometimes feel that I know exactly what God wants to do in a ministry at a specific point in time. 0.99876543210 Studying the Bible and sharing my insights with others is very gratifying for me. 0.99876543210 I have interpreted what was said in tongues so as to help others worship God without confusion. 0.99876543210 Sometimes when I pray, it seems as if the Spirit steps in and prays in words I cannot understand. 0.99876543210 I have felt an unusual presence of God and personal confidence when important decisions needed to be made. 0.99876543210 Sometimes, I express my love for God by writing poems, songs, prayers, or devotionals. 0.99876543210 I have been responsible for guiding tasks in my church or Christian group to success. 0.99876543210 I feel God has called me to go forth to establish new churches where people have never heard the gospel. 0.99876543210 I like to make hand made gifts for others that will remind them of God, Jesus, or the Holy Spirit. 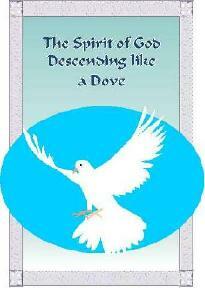 0.99876543210 I can sense whether a person is moved by the Holy Spirit, an evil spirit, or by their own flesh. 0.99876543210 It is a joy to speak uplifting words to people who are discouraged. 0.99876543210 I have led others to a decision for salvation through faith in Christ. 0.99876543210 I can challenge others without making them feel condemned. 0.99876543210 I am totally convinced God will fulfill his word even if He is not doing so yet. 0.99876543210 God has used me to meet someone's financial or material need. 0.99876543210 When I pray for the sick, either they or I feel sensations of tingling or warmth. 0.99876543210 The Spirit sometimes leads me to do a simple thing for someone that touches them deeply. 0.99876543210 I enjoy greeting and welcoming people to our church or our home. 0.99876543210 I seem to recognize prayer needs before others. 0.99876543210 I am able to understand difficult portions of God's word. 0.99876543210 I am able to delegate tasks to others to accomplish God's work. 0.99876543210 I have a desire to work with those who have physical or mental problems to alleviate their suffering. 0.99876543210 Others can point to specific instances where my prayers have resulted in what seems impossible actually happening. 0.99876543210 I would be willing to leave comfortable surroundings if it would enable me to share Christ with more people. 0.99876543210 Singing, dancing to, or playing songs of praise to God for pure enjoyment is something I like to do. 0.99876543210 God has shown fruit in my life by my effective discipling of other believers. 0.99876543210 My desire for spiritual riches outweighs my desire for money or material possessions. 0.99876543210 I sometimes have a strong sense of what God wants to say to people in response to particular situations. 0.99876543210 People have told me that I have helped them learn Biblical truths. 0.99876543210 Sometimes when a person speaks in tongues, I get an idea about what God is saying. 0.99876543210 I can speak to God in a language I have never learned. 0.99876543210 Sometimes God gives me an insight into the proper course of action needed in a situation. 0.99876543210 I am able to take complex spiritual matters and write them down in a way that others can understand more easily. 0.99876543210 I can serve others by organizing and harnessing their gifts to solve a particular problem. 0.99876543210 I have no fear in leading people where God wants them to go. 0.99876543210 I like to work with my hands to make things to serve God. 0.99876543210 The difference between truth and error is easily perceived by me. 0.99876543210 I can effectively motivate people to get involved in ministry. 0.99876543210 I seem able to determine when the Spirit has prepared a person to received Jesus Christ. 0.99876543210 People will take correction from me because they know I am on their side. 0.99876543210 My hope in God, against all odds, is inspiring to others. 0.99876543210 I have been willing to maintain a lower standard of living in order to benefit God's work. 0.99876543210 I enjoy praying for sick people because I believe that many of them will be healed as a result. 0.99876543210 I have enjoyed doing routine tasks that have led to more effective ministry by others. 0.99876543210 I try to make everyone feel welcome and comfortable in our home or at church. 0.99876543210 When I hear a prayer request, I pray for that need for several days at least. 0.99876543210 Through study or experience I have discerned major strategies God seems to use in furthering His kingdom. 0.99876543210 God has given me an ability to "rally the troops" in providing aid for others. 0.99876543210 I enjoy spending time with a lonely shut-in person or someone in prison. 0.99876543210 God has used me personally to perform supernatural signs and wonders. 0.99876543210 The thought of beginning a new church in a new community is exciting to me. 0.99876543210 People have said they see the love of Jesus on my face when I sing, dance, or play music. 0.99876543210 I feel that I am responsible to help protect weak Christians from dangerous influences. 0.99876543210 A big house, a fancy car, or a large bank account are NOT important to me. 0.99876543210 Sometimes I have a burning desire to speak God's word even if I know it will not be well received. 0.99876543210 Leading a Bible Class is one of the most enjoyable things I do (or could do). 0.99876543210 When others have prayed in tongues, I felt that I understood the meaning of their prayer. 0.99876543210 Praying in tongues has been meaningful to me in my personal prayer life. 0.99876543210 When a person has a problem I can frequently guide him or her to the best Biblical solution. 0.99876543210 I love to study God's Word and write down what I have learned. 0.99876543210 I can recognize talents and gifts in others, and find ways of using these for God. 0.99876543210 God has given me a position of authority over a number of groups of Christians. 0.99876543210 I am able to show the glory of God's creation through my art. 0.99876543210 I can judge well between the truthfulness or error of a given theological statement. 0.99876543210 I have verbally given confidence to the wavering, the troubled, or the discouraged. 0.99876543210 I minister better to the spiritually lost than to believers. 0.99876543210 It is enjoyable to motivate people to a higher spiritual commitment. 0.99876543210 I am ready to try the impossible because I have a great trust in God. 0.99876543210 I have strongly sensed the Spirit leading me to give money to a specific person or cause. 0.99876543210 Sometimes I have a strong sense that God wants to heal someone through my prayers or touch. 0.99876543210 I would rather work in secret than have my work recognized publicly. 0.99876543210 I do NOT feel uncomfortable when people drop in unexpected. 0.99876543210 Praying for others is one of my favorite ways of spending time. 0.99876543210 I sometimes find I know things that I have never learned, which are confirmed by mature believers. 0.99876543210 It is a thrill to inspire others to greater involvement in God's work. 0.99876543210 I enjoy visiting in hospitals and retirement homes, and feel I do well in such a ministry. 0.99876543210 The Holy Spirit leads me to pray for impossible things that really come true. 0.99876543210 More than most, I have had a strong desire to see people from other countries won to the Lord. 0.99876543210 People have told me they were moved spiritually by my singing, dancing, or playing music. 0.99876543210 I feel a call from God to be the spiritual leader of a group of Christians. 0.99876543210 I am NOT jealous of those who have more material possessions than me. 0.99876543210 People have told me that I have communicated timely messages that must have come directly from the Lord. 0.99876543210 I devote considerable time to learning new Biblical truths in order to communicate them to others. 0.99876543210 When I hear others speak in tongues, I am compelled to explain the meaning. 0.99876543210 I feel that I have a special insight in selecting the best alternative in a difficult situation. 0.99876543210 People say they have been touched spiritually by things I have written. 0.99876543210 People sometimes look to me for guidance in coordination, organization, or ministry opportunities. 0.99876543210 God has used me to bring the gospel to people who have never heard. 0.99876543210 I feel compelled to use my hands to craft things that show the beauty of God's creation. 0.99876543210 I can recognize whether a person's teaching is consistent with God's word. 0.99876543210 People who are feeling perplexed sometimes come to me for comfort. 0.99876543210 I'm troubled when salvation is not emphasized. 0.99876543210 I can identify with weakness and temptation so as to encourage people to repent and believe. 0.99876543210 I have believed God for the impossible and seen it happen in a tangible way. 0.99876543210 I strive to find ways to give to others without calling attention to myself. 0.99876543210 I have prayed for others and physical healing has actually occurred. 0.99876543210 If someone is facing a serious crisis, I enjoy the opportunity to help them. 0.99876543210 When people come to our home, they often say they feel at home with us. 0.99876543210 Others have told me that my prayers for them have been answered in tangible ways. 0.99876543210 God has given me words to say in witnessing situations that surprised even me. 0.99876543210 I can motivate others to obey Christ by the living testimony of my life. 0.99876543210 Sometimes I am overcome with emotion for the person I am praying for. 0.99876543210 People have told me that I was God's instrument to bring supernatural change in lives or circumstances. 0.99876543210 People of a different race or culture have been attracted to me, and we have related well. 0.99876543210 I enjoy using my musical talents to sing, dance to, or play Christian music much more so than secular music. 0.99876543210 God has given me the ability to teach and preach spiritual truth. 0.99876543210 I feel that I can best fulfill God's calling on my life by living simply. 0.99876543210 God has revealed to me specific things that will happen in the future. 0.99876543210 I feel I can communicate Biblical truths to others and see resulting changes in knowledge, values, or conduct. 0.99876543210 My interpretation of tongues has been confirmed by mature believers. 0.99876543210 When I speak in tongues, I believe it is edifying to the group I am with. 0.99876543210 People with spiritual problems seem to come to me for advice and counsel. 0.99876543210 I sometimes prefer to write down my thoughts about God rather than speaking them out loud. Congratulations, you have completed the Spiritual Gifts Test! Please take a moment to scan back through ALL the statements to make sure you responded to ALL 140 of them! If you see "0.9" then you have missed entering a response. This is especially important if you use Google Chrome because the Back button does not work correctly on that browser! If you try to save this test, your responses will be lost, but you can PRINT it now with your responses. The test with your responses will print on 14 pages. Next, click on the Submit Spiritual Gifts Test for Analysis button below and wait a few seconds for your Analysis to be calculated. When the Analysis appears, you will have an opportunity to to print it. Your Analysis will also be emailed to you and optionally to your church. If you want to CLEAR ALL your responses so someone else can take this test, then click on the "Clear ALL Responses" button below. We would appreciate it if you would add a link to the Adult Spiritual Gifts Test ( http://www.kodachrome.org/spiritgift ) and / or the Youth Spiritual Gifts Test ( http://www.kodachrome.org/spiritgiftyouth ) to your Church Web Page and / or your Personal Web Page. If you have any comments, questions, or problems concerning this Web Page, please EMail them to spirit-gift@kodachrome.org .